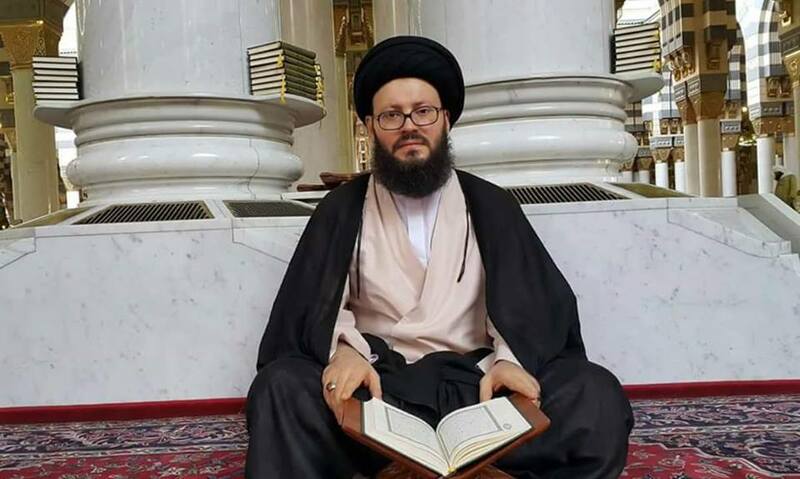 • الموضوع : Sayed EL Husseini: The originality of Islam lies in its moderation . The assumption that the concept of Islamic moderation is an outcomeand a reaction to the the religious extremism and terrorism is a severe mistake committed by a lot of people. Such mistaken perception can presume that the moderation of Islam doesn’t stem from its historical and religious roots. In fact, tolerance, pardon, mercy and kindness and other human values have proven to be anchored firmly in the Arab-Muslim history and the dignified verses of Quran and the prophet’s Hadith, historical events and attitudes support this tendency. These numerous facts about Islamic moderation cannot be counted within this constricted script. We can add here and emphasize that the secret behind the spreading Islam and being accepted by the different peoples around the world (as it was confirmed by many of the philosophers and the Orientalists), relies on the first place within the spirit of tolerance, moderation and openness of Islam. The dignity and poise that have characterized the leaders of the Islamic conquests have managed to deal and to attract the peoples to Islam and to earn willingly their adoration to Islam. Therefore, who do not bother themselves to check deeply the senses of Islam are committing enormous error by saying that moderation of Islam is a emergent new concept. This is among the heinous faults that cannot be justified. Just as worshiping god without partner and the prophet hood and the day of judgment are the principles of Islam, the moderation is a corner stone and the basic ingredient of this religion and that the re-launching this is as a return to essence of this religion, or in other words going back to authenticity in religion and its re reviving will serve both Arab and Islamic nations, and appointed to cope with the situation and the difficult circumstances currently. The occurring interruption of Muslims, vis-à-vis the Islamic tolerant concepts and values and specially their historical and religious backgrounds, have created wrong perceptions and understanding of such values. The fact that every Muslim should learn and teach he/she should be certain about is that religious fanaticism and isolation are weird concepts and practices that do not reflect the basic spirit of Islamic tolerance. Therefore, we find that the most important duty of each Muslim now is to clarify this fact and, the Muslims’ mission is to prove that extremism and terrorism are away from the essence of Islam while the moderation reflects the reality of Islam. This approach will refrain and limit the movements and activities of extremists and terrorists and, make them trapped in narrow and specific areas until they vanish slowly. Throughout the past years of carrying the message of Islamic moderation and through our efforts to spread the concepts of tolerance to the fullest point, we have faced hostility of extremists and terrorists who have sought to quell our voice and stop our march. However, we stood and resisted and we have praised Allah thanks to our believes that the message of moderation is the right thing and, that tolerance is the major sign of Islamic religion. When we contrast between today’s achievements and between the beginnings of our struggle against radicals, we find major accomplishments in favor of moderation and for certain we will find in the next decade more success with the help of God. We shall remove all traces of extremism and terrorism as the mighty Allah said in the holy book the Quran " you shall work as Allah is observing your work and His Messenger and the believers as well"
* Secretary General of the Arab Islamic Council in Lebanon.